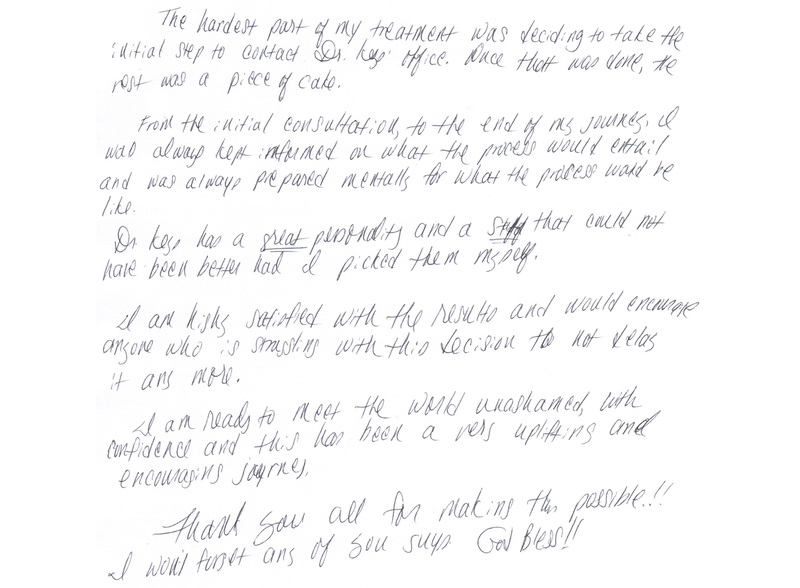 "The staff here is great. Timely with getting me in and out. Patiently waiting when I'm running a little behind. They make me feel really comfortable and always greet me with a smile. It has been a very pleasant experience. Thanks for everything!" 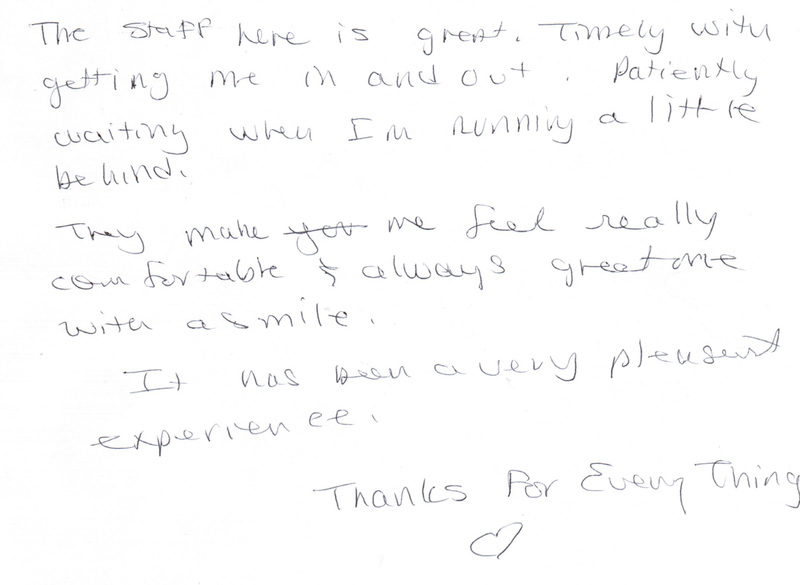 When the results AND the patients speak for themselves, you know you have found the right place! 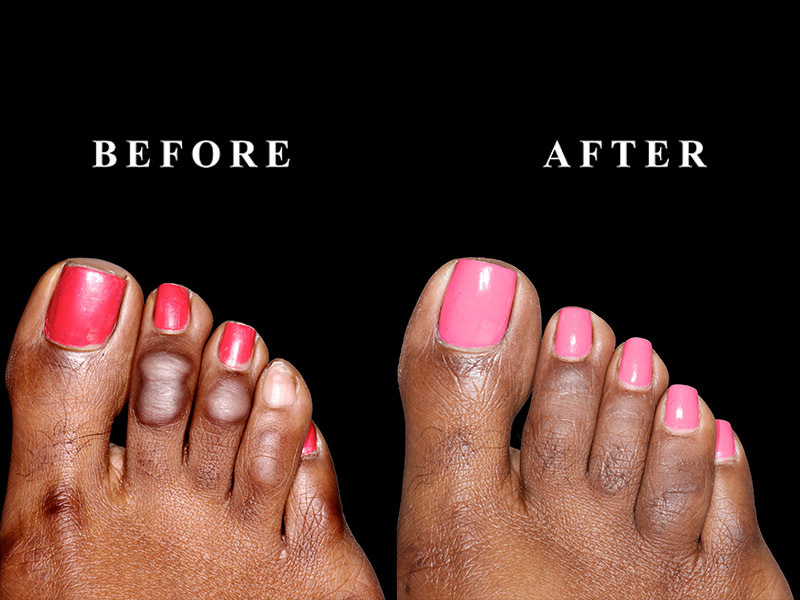 Visit our Interactive Before & After Gallery to view more of Dr. Keyes' toe corrections. To hear more from our patients, visit the Patient Testimonials page! To schedule your own personal consultation today, give us a call at 312-226-8339! Join the thousands of satisfied patients of Keyes for Toes today! Dr. Keyes is extremely specialized in providing functional and cosmetic correction of hammertoes, removal of corns, and shortening of long toes. The results speak for themselves; take a look at our new and improved Interactive Before & After Gallery! Imagine being able to wear the heels you have always wanted to, or showing off your toes at the beach next summer in sandals. We are here to make your dream a reality! Our staff is dedicated to helping you down the road to more beautiful toes, and will be with you every step of the way from consultation to the end of treatment. The procedures are safe and convenient, and you will not have to take time off of work! To learn more about the breakthrough procedure created by Dr. Keyes, vist the Advanced Toe Procedure section of our website. To schedule a consultation regarding your toes, give us a call at 708-771-4300, or visit the Become Our Patient page to submit an inquiry. Do not hesitate to reach out with any questions you may have. We look forward to having you as our patient! Are you ashamed by the appearance of your toes? Do you hide your feet from your friends and family? Have you avoided the beach out of fear of having your feet exposed? Corns, hammertoes and long toes can make it difficult and embarrassing to wear the shoes you want. Keyes for Toes is here to help! With our breakthrough corn removal, hammertoe correction and toe shortening treatment designed specifically with the patient in mind. Join the thousands of satisfied patients who have discovered Keyes for Toes and now enjoy healthier, more beautiful looking feet. Patients from all across the United States and abroad have come to Keyes for Toes to seek out treatment with Dr. Keyes. We enjoy seeing our patients leave feeling proud to show off their feet to their loved ones. Best of all, the surgery is relatively painless, discreet, and patients are able to return to normal activities the same day as their procedure! 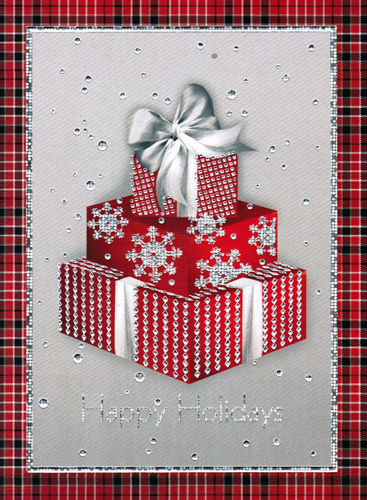 Dr. Keyes and staff wish a safe and happy New Year to all of our patients and wish you the best in the coming year. We are pleased to have received certification from the Better Business Bureau for the 9th year running with an A+ rating. We appreciate the continued support and advocacy of our patients, without whom we never would have been able to acheive such an accomplishment. 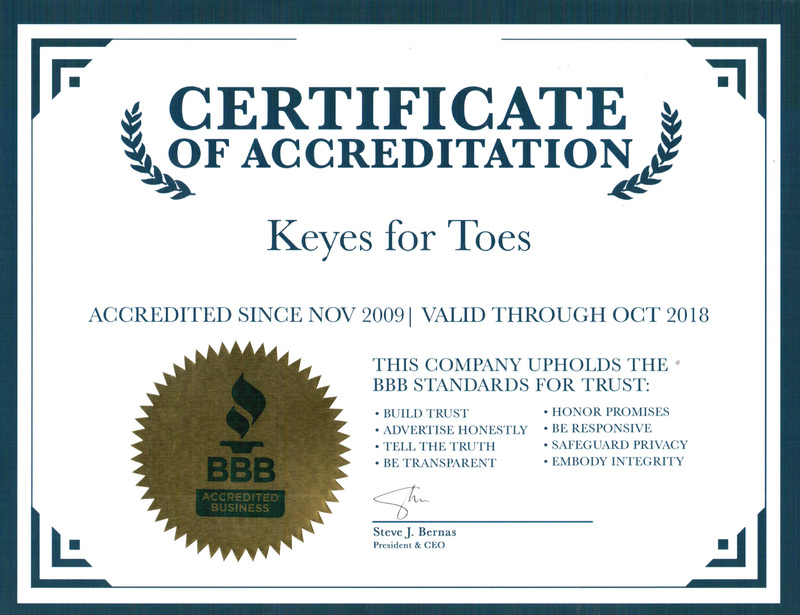 Keyes for Toes' staff continues to strive to provide the highest level of professionalism and customer service with each and every person who steps through our doors. With all of the hustle and bustle of the holiday season it is more often than ever that our feet suffer the consequences. With toes being stuffed into winter shoe wear and ski boots, it is easy to overlook the health of our feet. Give yourself the gift of beautiful toes this coming year with an easy, non-invasive treatment that lasts just under 30 minutes! Dr. Keyes pioneered his own specialized procedure nearly 20 years ago to remove unwanted corns, fix painful hammertoes, and shorten long toes in a way that is easy and effective. The toes fit better in popular shoe wear, feel better when walking and look better in sandals. 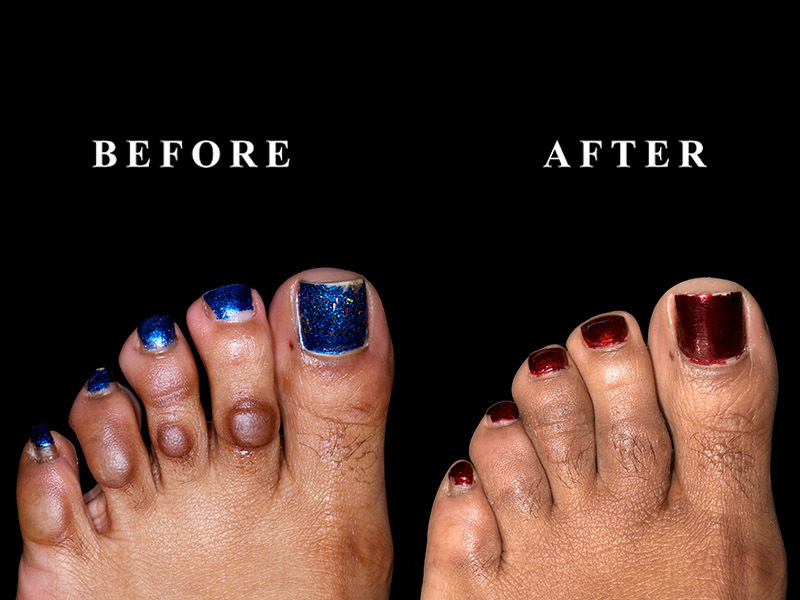 Keyes for Toes is proud to announce the launch of our new Interactive Before & After Gallery! Here you can view the results of toe surgeries performed by Dr. Keyes. The results truly speak for themselves; the procedures are specifically designed to leave minimal to no scarring and are both safe and convenient to the patient. Dr. Keyes pioneered his own distinctive toe correction surgery nearly 20 years ago with the patient in mind. All of the treatment is performed on a walk-in, walk-out basis with no down time. Patients are able to drive to our facility in Oak Park, check in as an outpatient, have their toe surgery, then go right back to normal activities the same day! You will be able to return to work, continue driving, and go back to your normal routine that same day. This extraordinary procedure also eliminates the need for lenghty hospital stays, anesthesiologist fees, and has a 99% success rate! Sound too good to be true? Don't take our word for it; visit our YouTube Channel to view the testimonials of a few of our satisfied patients. We are proud to share the unique success stories of our remarkable patients. Dr. Keyes and the staff here at Keyes for Toes enjoy getting to meet and interact with people from all walks of life, all while helping them down the road to more beautiful toes. From doctors and lawyers, to entertainers and dancers, to stay-at-home mothers and postal workers, our doctor has corrected over 10,000 toes of people from almost every profession. With zero down time, patients are able to go back to work the same day as their surgery, doing away with much of the hassle associated with typical toe correction surgeries. Keyes for Toes is committed to providing top of the line treatment for corns, hammertoes, long toes, short toes and more. Happy New Year to all of our patients past, present and future! We hope to continue making new success stories in 2017 and beyond. 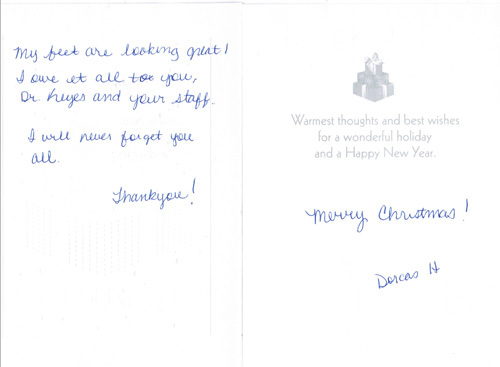 Special thanks to all of our satisfied patients for the outpouring of gifts and well-wishes this holiday season. 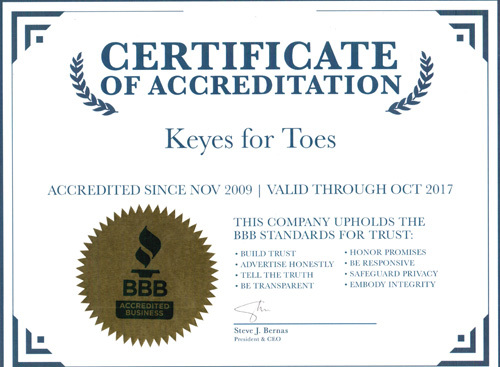 Keyes for Toes is excited to announce over five years of accreditation with the Better Business Bureau! Our office staff is dedicated to providing excellent customer service and patient care. Dr. Keyes is willing to work with all of his patients until they are satisfied with their results. Continuing this tradition of excellence is of utmost importance to Dr. Keyes and staff, and we hope to share our outstanding treatment with you, our patient. Keyes for Toes is a surgical facility dedicated exclusively to the correction of toes. We specialize in hammertoe surgery, corn removal surgery, toe shortening procedures and toe lengthening procedures. All of the treatment performed at Keyes for Toes is done on a walk-in, walk-out basis with the added benefit of zero down time. Patients are able to continue with their normal activities throughout the course of treatment; you will be able to continue walking and continue driving throughout the course of treatment. Dr. Keyes also provides an extensive post-operative care and scar treatment program to ensure results that are both functionally and aesthetically pleasing. Our Anti-Keloid Program combats excessive scar formation common among many of our patients. To learn more about the breakthrough procedures offered ay our office, or schedule an appointment today, give us a call at 708-771-4300 or submit your information via our online form. Consultations are available in our office or over the phone to cater to our out-of-state patients. Do not hesitate to contact our office with any questions you may have; putting off your corn removal, hammertoe correction or toe shortening procedure could result in the condition getting worse over time or staying the same. The secret to more beautiful toes is in your hands with Keyes for Toes! Are you embarassed or ashamed of the appearance of your toes? Do you have long toes with corns and discoloration that cause rubbing in shoes? Often patients come to Keyes for Toes seeking help with toe shortening treatment. Long toes can cause toes to curl up in shoe wear which leads to the formation of corns, hammertoes, discoloration and pain. Keyes for Toes has developed a special toe shortening procedure to remedy the issue. By shortening the toe the overall toe alignment is improved, and rubbing in the shoe is eliminated. This offers a permanent removal of the corn, as opposed to shaving down the area which is prone to recurrence. The procedures are performed on an ambulatory basis under local anesthesia, which carries many benefits for the patient. You will not have to be put to sleep or "put under," you are able to continue walking and driving throughout the course of treatment, and you can go back to work the same day. The procedures are also done without the need for external implants or screws in the toes, which allows for more aesthetically pleasing results and the ability to retain flexibility in the joints. The patient Before and After photo pictured above belongs to a patient of Keyes for Toes who underwent treatment for seven toe corrections. She had hammertoes, corns, discoloration and long toes, as well as complications from a previous hammertoe surgery performed by another doctor nearly twenty years earlier. 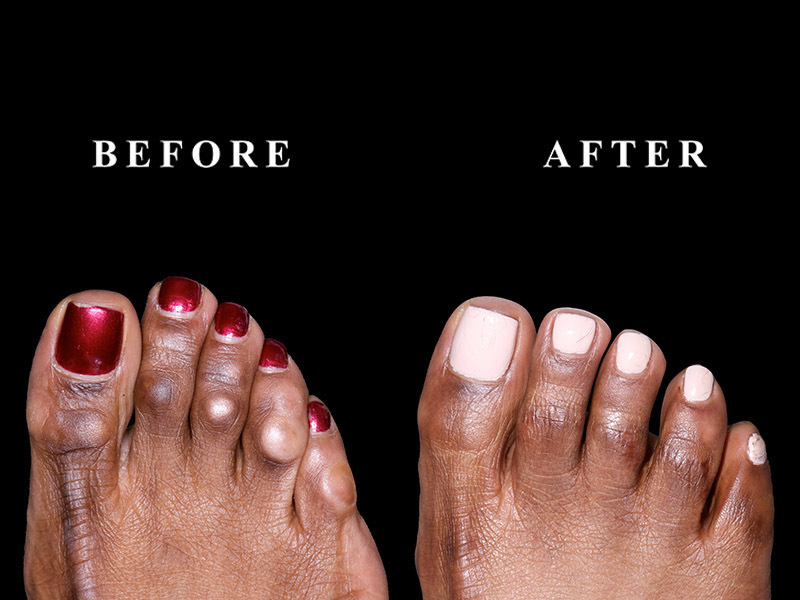 By removing the lesions, adjusting the length of the toe and providing detailed skin coloration and scar care treatment, Dr. Keyes was able to correct the issue with results that are both functionally and aesthetically pleasing. Many patients visit our office feeling hopeless and frustrated with the condition of their toes. We have had many patients tell us they were told nothing could be done with their case, or the only treatment options available would require extensive down time, ugly boots and pins and screws being placed in their toes. At Keyes for Toes we are taking a new approach to toe corrective surgery; one that offers greater patient convenience and results that are both practical and beautiful. "Thank you so much! You have no idea how thankful and happy I am!!!! Very satisfied!!!"